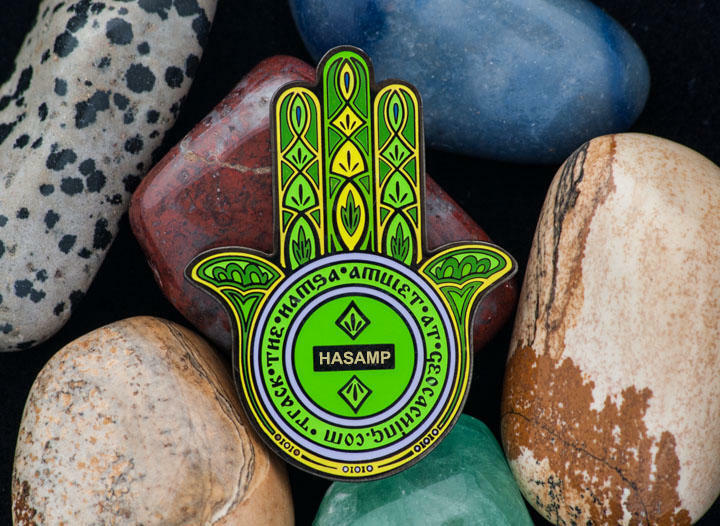 The Hamsa is a palm-shaped amulet popular throughout the Middle East and North Africa. Depicting the open right hand, an image recognized and used as a sign of protection in many times throughout history, the hamsa is believed by some to provide defense against the evil eye. 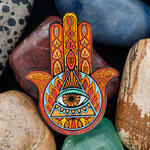 The eye on the Hamsa geocoin glows in the dark.